The history of Esprit begins with a love story back in the 60’s. In the summer of 1963 Susie Buell and Doug Tompkins fell in love, they married within a half year and five years later they started their own company. That company turned out to be one of the largest clothing brands in the world: Esprit. Their shared passion for fashion and nature gives Esprit its own unique character. They also care a lot for the environment and produced an ‘ecollection’. 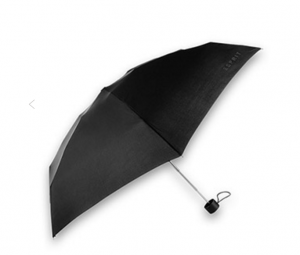 Paolo Salotto offers Esprit umbrella’s at Leather & Travelgoods – Schiphol Plaza.